If there is one place on Earth where people really know how to handle design – it must be Berlin, which is (officially) the City of Design. Of course, there are no exceptions when it comes to interior design or architecture, either. 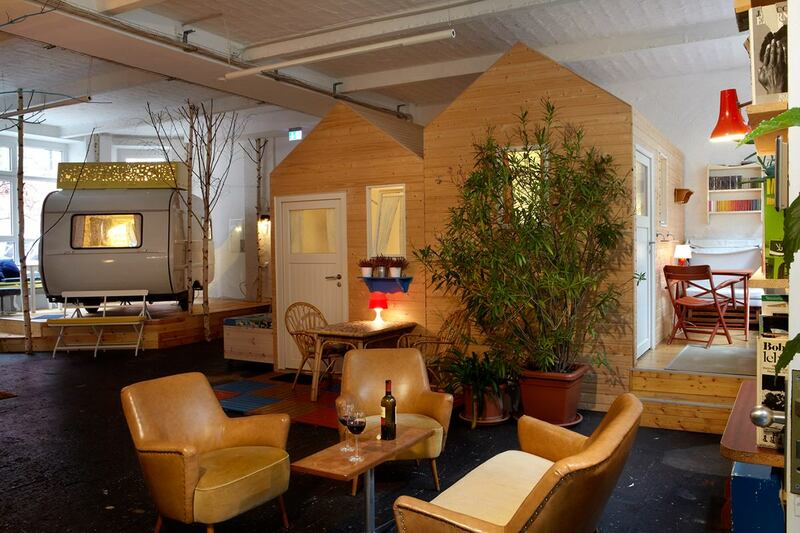 If you want to find cool accommodation in Berlin, there are a lot of various options, in general. A lot of young people choose to share rental apartments, or stay at hostels. However, if you have just a little bit more money to spare, this guide to the most interesting art hotels might be useful. All of them are designed in a different, but equally tasteful manner, but what is even more important: they reflect on diverse artistic styles. Just scroll down, and you’ll see. 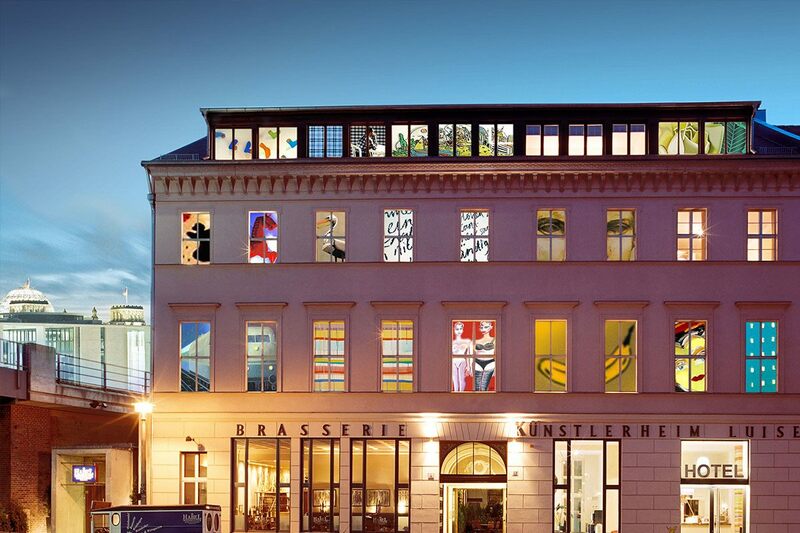 As you can see from the image above and the title, Arte Luise Kunsthotel is full of artistic elements. First of all – the building itself is a piece of art, it is an old residential mansion from 1825. 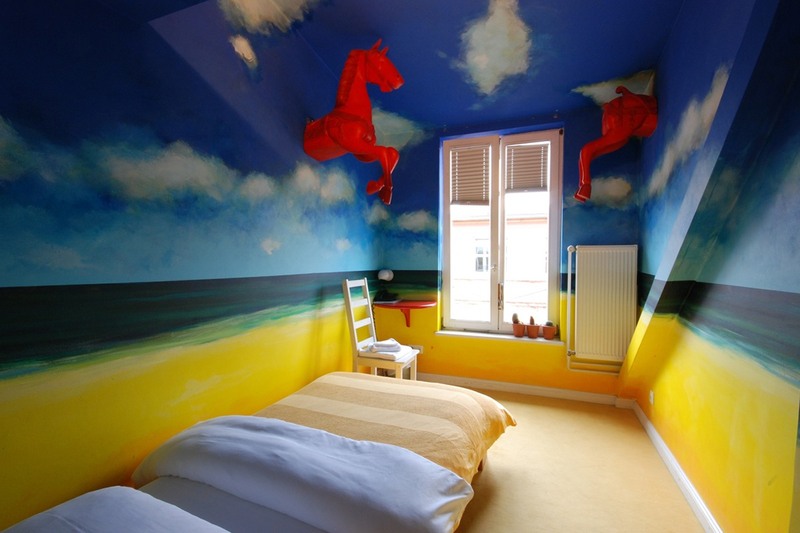 Each room is designed differently, made by the renowned contemporary artists. When you look at the pictures of these hotel rooms, you might even get confused, or get the sense that they don’t belong to the same building. Some of them have shared bathrooms, some are completely private, and as you can see from the windows, their size varies. There are sculptures by the Dutch artist Hans van Meeuwen in the lobby of the hotel, and a wall piece by Markus Linnenbrink. And here’s the best part: it is situated in the heart of Berlin! Find out more about the hotel on this link. Catalonia Berlin Mitte – for true Urban Art Lovers! Another centrally located hotel in Berlin, but this time it is clear that it’s dedicated to people with a bit more specific taste. 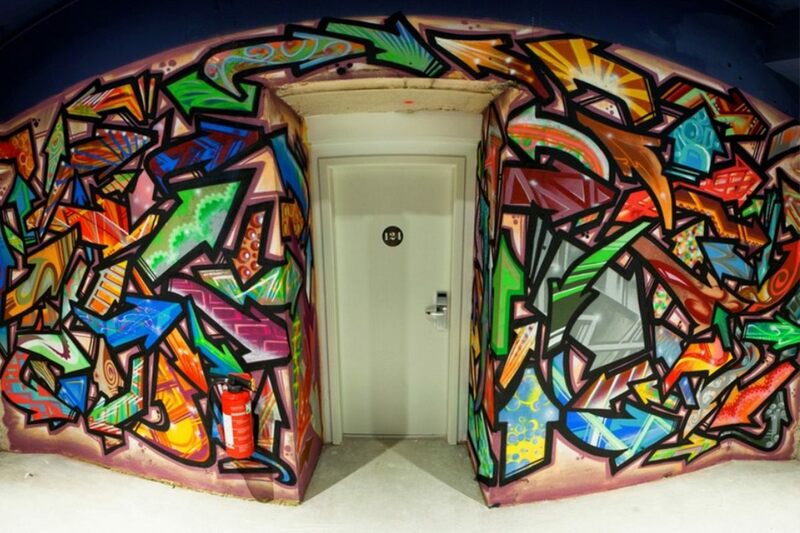 Although the rooms themselves are definitely more basic than the ones in the previously mentioned hotel, the lobby and the hallways, and basically all the shared spaces are painted in graffiti and murals. The inside of the hotel looks like the streets somehow entered the building and spread across the interior. All of the graffiti are made by Berlin’s street artists, and the visual language in which they are made differs from floor to floor. Check out the Catalonia hotel here. This hotel is located in one of Berlin’s most popular districts, famous for the the inviting, lively night life. It’s not that strange for the lobby to look this cozy, but the rooms seem very comfortable too, and they lack the generic aesthetics, which most of the hotel rooms have by default. All of the rooms look like they are custom-made, and the hardest part is probably choosing the most beautiful one! The thing you’ll probably love most about this hotel, apart from the impeccable design, is that it has this hospitable atmosphere which is so easy to relate to. And this is not strange, if you consider that the place used to be a family house only 5 years ago, when it became a hotel (owned by that same family). If you’re interested in booking a room at Michelberger Hotel, click here. These rooms certainly look like they belong to some other era, and when you see the front of the building you’ll remember who they remind you of. Both inside and outside the hotel, there are regular and LED prints with Andy Warhol’s face on them. You can also find some of Warhol’s famous prints, hanging on the walls. But this is only one part of the journey that the hotel takes us on. The design is entirely made with reference to Pop Art, and to the ’60s, with just a slight touch of contemporary trends. The hotel’s food and the bar is also reminiscent of the American pop culture, and even the name of the bar is the Factory bar (in case it doesn’t ring a bell, The Factory was the name of Andy Warhol’s New York City studio). Take a better look at the hotel on this link. Nhow hotel is officially the first music hotel in Europe, and it is the first one in their chain of hotels – the other two are in Milan and Rotterdam. The location is perfect, it is right on the bank of the Spree river, very close to MTV Berlin (accordingly to its music-related title). The interior consists of the fluid forms and probably aims to illustrate music, through visual elements. 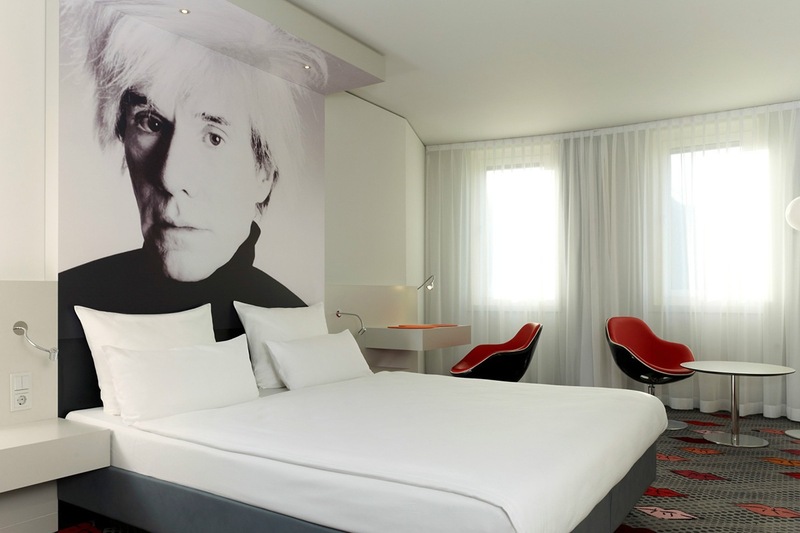 The hotel presents itself as the “epicenter of Berlin’s music, fashion and artistic scene”. Apparently, it is the place where members of numerous bands on tour stay, and also the place where you can sit and play musical instruments for free. 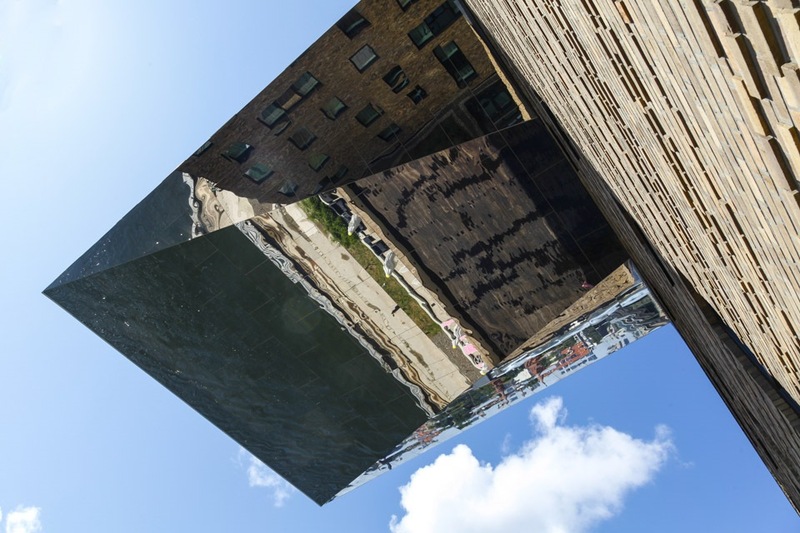 To all the architects – but also to the passers by, the most interesting part is probably the building’s huge cantilever, coated with mirrors. To see what the rooms look like, click here. The place used to be a factory, before it became a hotel – and a very unique one. 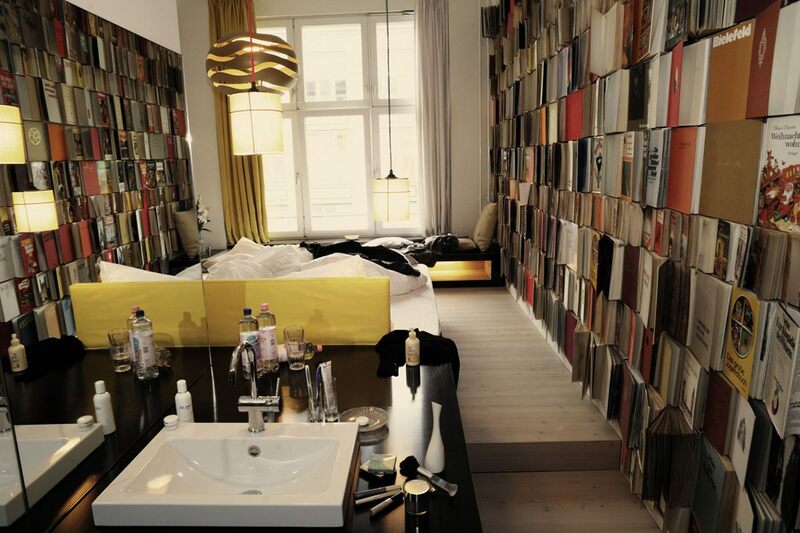 There are, literally, all kinds of “rooms” you can imagine. You can stay in a regular room if you want, but there are also some way more interesting options. You can choose to stay inside retro caravans adapted by artists, or in cozy, wooden huts and old cabins. Or – you can even sleep in a treehouse! The high ceilings make this adventurous design possible, and so the treehouse is placed indoors. You have to admit that this is definitely not something you see every day. Don’t miss a chance to stay here, at least for one night. Click here.